The current situation in Europe seems to emphasize that our modern society is still not ready to accept migration as an important part of human history. Instead of welcoming immigrants and refugees with open arms, state power is trying to restrict asylum for those who are in need. The reasons, why people leave their home countries are different: human trafficking, prosecution, war, or just the hope for a better future. Despite the ethical and moral perspective and the duty of a modern democratic state to support those in need, restrictions and limitations of civil rights often seem to be the sole answer. While the members of the European Union are accusing each other, a solution for the problem of refugee migration is far away. The relationship between migration and state power has always been difficult. To highlight its history the third volume of Global Humanities deals with the philosophy and the history of this interrelationship as well as its reception in popular media. It analyzes the difficulties with regard to migration and state power from Huguenot France to Korea and Taiwan after 1945. 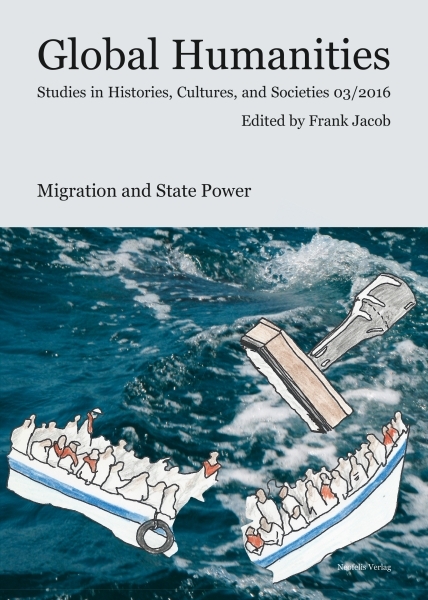 Furthermore, by providing historical case studies, it shows that the problems of migration movements are not new at all and that there have always been similarities with regard to the reaction to those movements, which more than resembles the actual situation in Europe and other parts of the world. Mit Beiträgen von Scott Craig, Matthew Douglas, Frank Jacob, Olga Kachina, Ann-Judith Rabenschlag, Verena Risse, Nicole Beth Wallenbrock und Ashley Zampogna-Krug.